There is no better time to sit down and reminisce than while sitting around eating junk food and recovering from a 100 mile finish…so that is what I am going to do. 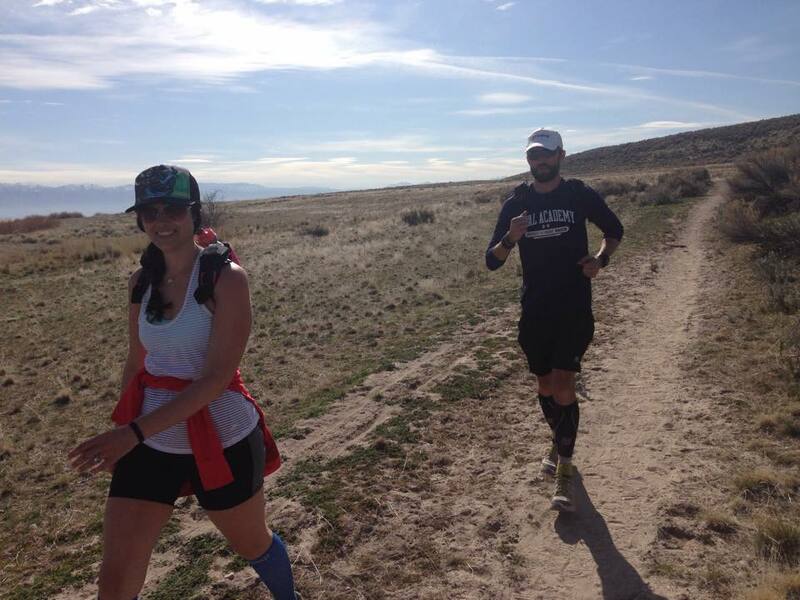 About this time in 2012, I was recovering from my first 50 mile finish at the Antelope Island Buffalo Run 50. It is only fitting that I returned to the same race this weekend to shoot for my first 100 mile finish. Going into the race, I was feeling excited and a bit nervous, but also ready. My training this year was strong leading into race day and, after four years of ultra running, I was feeling ready to finally join the 100-mile club. Unlike many other 100’s, the Buffalo Run starts at noon, which was awesome. I got a good night of sleep in which I did not need to set an alarm or stress about making it to the start line on time. The course itself is a 50 mile route, so the 100 milers run it twice. This is difficult mentally because you actually pass through the Start/Finish area three times, making it really convenient to make excuses to quit. Despite this, it didn’t end up being a problem for me at all; I was going to finish no matter what! At the start, my first goal was to not go out as quickly as I normally do. I wanted to stay somewhere in the middle and really focus on my pace. I feel like I did a good job sticking to this, but still ended up being about 10-15 from the back in the first couple of miles, which begins with a steady climb. Either way, I continued to run my pace and stuck to my plan pretty well, regardless of what everyone else was doing around me. Honestly, the first 50 miles was rather uneventful. I was in a great mood and feeling pretty damn good. 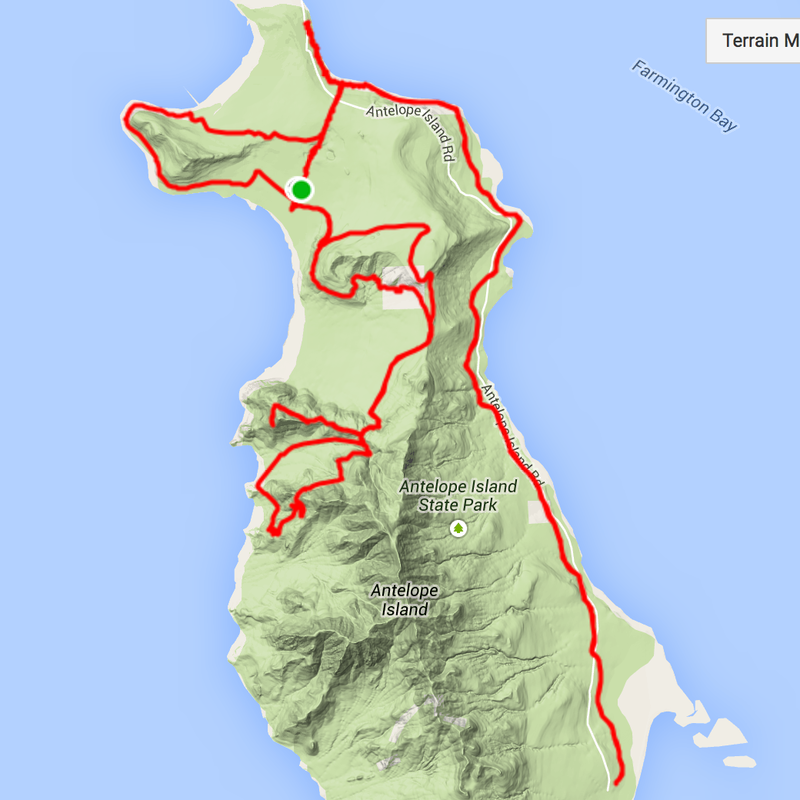 Most of the climbing on the course is in the first 19 miles, which makes a figure eight-type shape on the map. My goal was to get through this in about 3:42; I ended up coming through in 3:38. This section is followed by a long out and back to the ranch on the Southern part of the island. This is a pretty flat section compared to the first part of the course, and takes a different kind of running than the more mountainous front portion. The most exciting part of the first loop was just before the ranch at about mile 32, where a herd of pissed off buffalo were blocking the trail. We had to take a wide path off the trail to get around them before we could get back on course. One other great thing about this course…the animal life on the island offers such a unique running experience! After that, I continued pushing forward until I got back to the Start/Finish tent at the halfway point. I got in at 10:14, which was about 15 minutes behind my pace, but was still feeling strong. I planned a nice and long aid stop here to change clothes and rest a bit, but with the good weather and the fact that I was feeling pretty good, I managed to use only 1/3 of it, which got me back ahead of schedule. I also picked up my boy DJ here to pace me for the next 35 miles. The timing was perfect because I was definitely starting to get a bit lonely. At this point, I was still running fairly strong, but took the climbs easy (which was my plan) to make sure I didn’t overdo it. We got in to the Elephant Head aid station again (you pass through this aid station a total of six times in the race) and received a great reception. This aid station was being manned by members of my running group, the Wasatch Mountain Wranglers. I can say, without a doubt, this is a great group of people and was the best aid station on the course. I am grateful for the support from each of them here, but have to give a shout out to Craig Lloyd as well. Craig introduced me into the Wranglers group and his positive attitude and confidence in my journey helped keep me going. It was in this part of the race, about mile 65, where my stomach started to get a bit upset. Thankfully DJ had some ginger chews. He gave me one which almost immediately did the trick. Luckily, that was the only noise my stomach made all day. Coming through the Start/Finish area at about mile 70 for the last time until the finish I was still moving decently and turning around aid stations quickly, but it was about this time where everything started to catch up with me. Of course my feet were getting sore, but they were manageable. My muscles too were in good shape. What started to get me were some breathing issues. I developed shallow breathing and a wheeze, which never went away (in fact, I still have a bit of it even 24 hours later). This kept me from running for long periods of time, so I had to switch between running and walking for the next 15 miles. DJ did a great job at safely urging me on and keeping me moving forward (not to mention that he is always great company on a run). Once we got to mile 85, he switched off with my wife who was going to go further than she ever has before to get me to the finish line. At this point, there was little to no running because of my breathing, so I just tried to speed hike as much as I could. She was definitely on me about keeping a strong pace, even though I was getting a bit grumpy! I told her she could never pace me again, but I was secretly glad she was there with me. In the end, I cross the finish line in tears of joy in about 25:38 for my first 100 mile finish. Waiting at the finish line for me were family and friends to help share in my accomplishment. While I learned some lessons to apply in the future and seem to have a breathing issue I need to sort out, I cannot be happier. I set out to accomplish what I meant to do and finished my first 100! It is just now starting to sink in as I sit here, sore and still recovering, but I feel great! This will definitely be something I will never forget! Well earned beer and buffalo stew! First, I need to thank my pacers. DJ got me through the night, my wife got me across the finish, but without either of them, this would have been infinitely more difficult. I am thankful for having such awesome support. As always, my family deserves much of the credit for being so supportive of my crazy hobby. Thanks to Jim and the rest of the race staff and volunteers for putting on another great Buffalo Run. Lastly, I need to thank my sponsors. They provide me with the tools I needed to get the job done. Thanks Orange Mud, Injinji, Gargoyles, Honey Stinger, Headsweats! 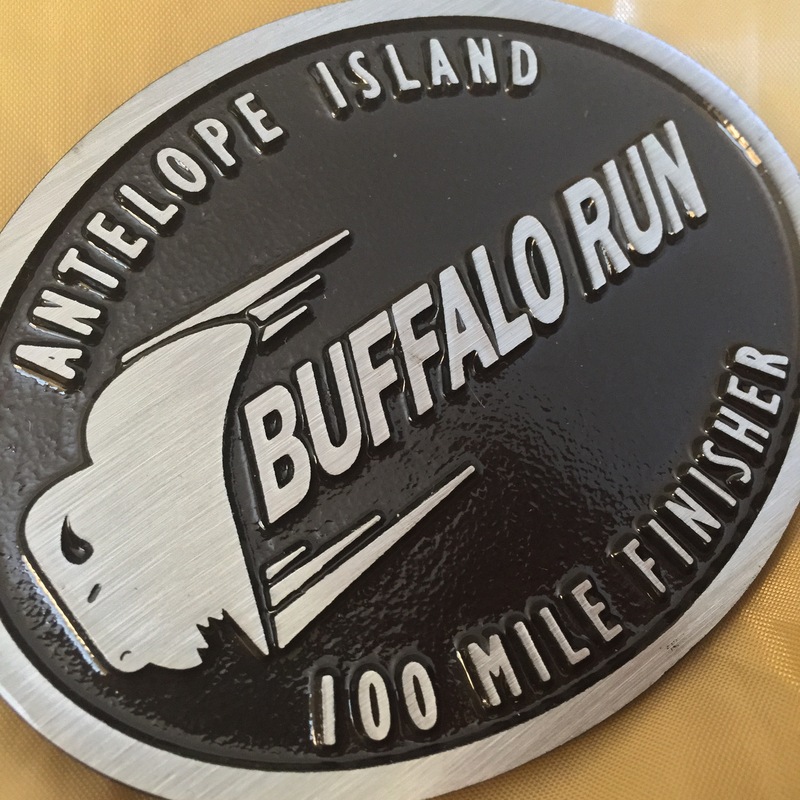 This entry was posted in Inspirational, trail running, ultra running and tagged 100 Mile, Buffalo Run, Race Report by Ultrarunner Joe. Bookmark the permalink. Great seeing you out there watching you pass me up! Seeing people from our Ultra community that recognized me helped me mentally finish my first hundred a few hours after you. And an excellent race summary too. From couch potato to 100mi ultra veteran in 5yrs. It goes to show – hard work and persistence do pay off.